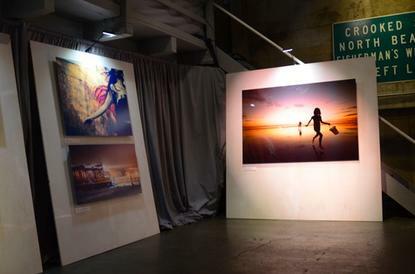 A warehouse in San Francisco was converted into a photo gallery for Google's Google+ event on Oct. 29, 2013. Google will begin closing down the service on Aug. 1 on Android, with the Web and iOS devices to follow soon after. For a time, Google touted the service as a key element in Google+, with a range of editing tools and image enhancement technologies rolled out over the years. But Google hinted that its days might be numbered when the company rolled out its new Google Photos service at Google I/O in May. The closure of Google+ Photos is likely to prompt more questions about the future of Google+, which has struggled to rival the success of Facebook. Photos and videos stored in Google+ Photos will be moved to Google Photos. People who don't want to use the new service can download their images using Google Takeout, the company said. Google Photos provides free, unlimited photo and video storage in Google's cloud, along with tools to organize the media.